We are a leading Manufacturer of delta ac servo motor from Chennai, India. Leveraging on our vast industry experience, we are offering a wide gamut of AC Servo Motor. The provided servo motor helps in controlling the speed and rotational motion of engine. Under experts’ observation, this servo motor is manufactured with precision using quality examined basic materials. Accessible in varied technical specifications, this motor is offered to the customers at marginal prices. 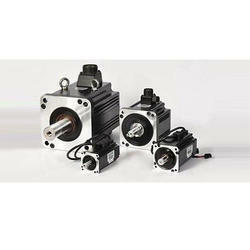 Looking for Servo Motor & Drives ?